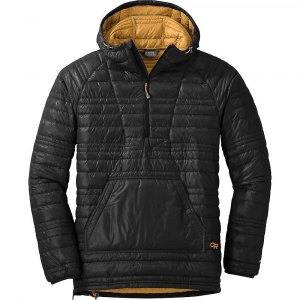 Outdoor Research Casual Down Jackets Down Baja Pullover - Mens Black/Honey Small 2680891341006. The Down Baja Pullover is our homage towards sunny beaches and bluebird skies even if you're stuck in a shiver bivy at 10000 feet. 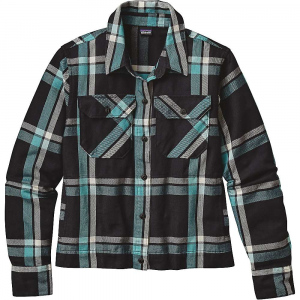 A kangaroo pocket quarter front zipper and left side zip for easy on and off add utilitarian details that accentuate the Down Baja's head-turning colors and spiffy style. 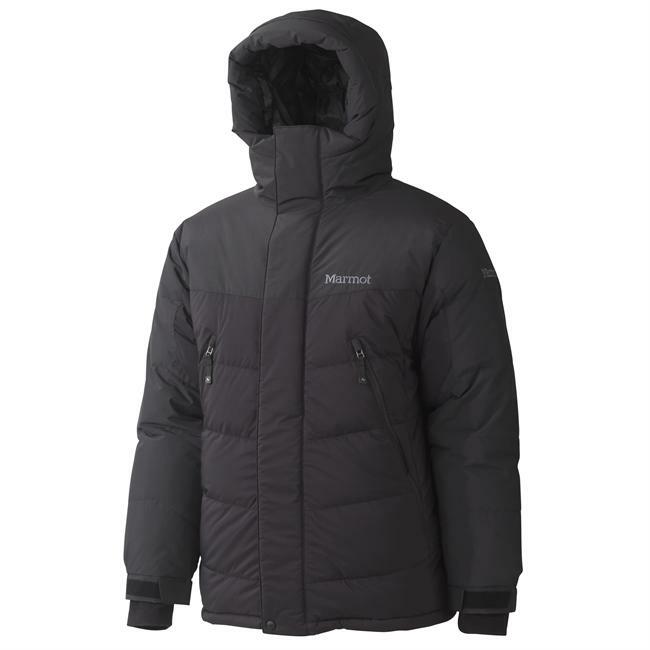 It even packs into its own internal chest pocket for an instant compact stuff sack you can cart around anywhere. 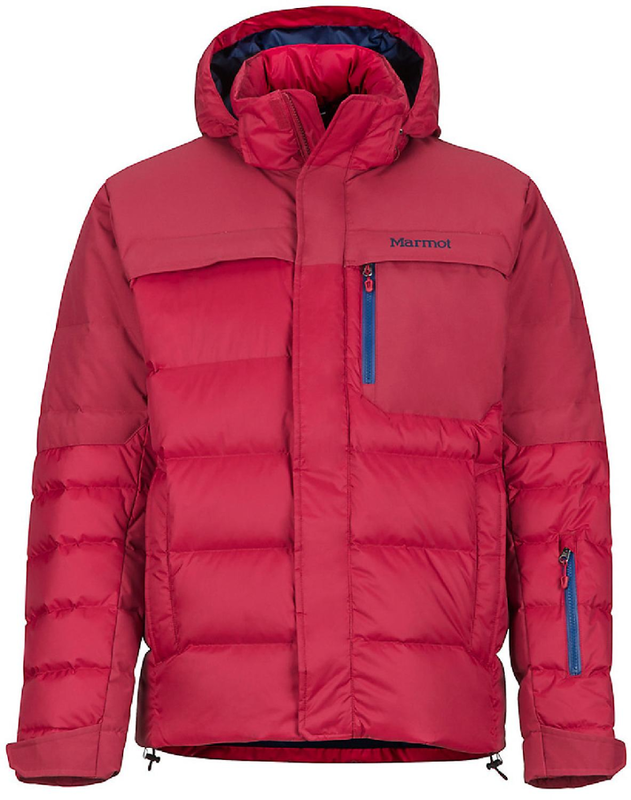 Packed with the same trustworthy 800-fill responsibly sourced down insulation you'll find in technical jackets but with design features that scream Party Pullover this piece is sure to sit at the top of your gear-grab pile. 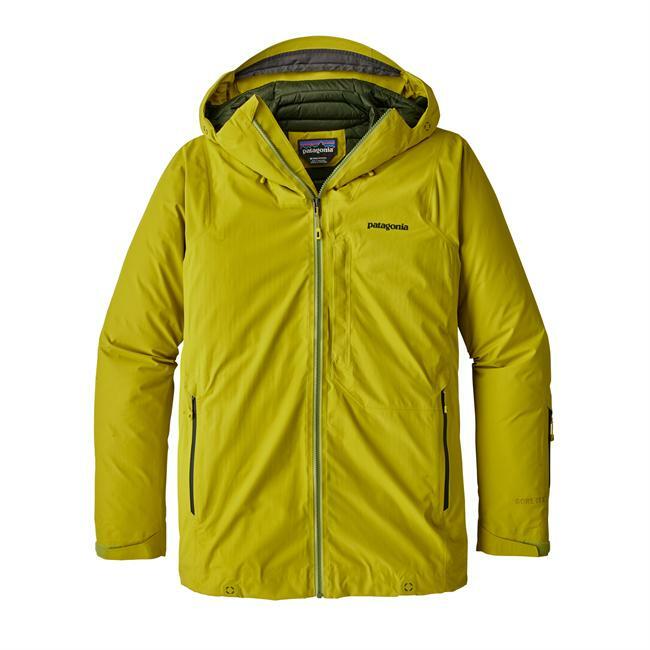 The Down Baja Pullover Jacket touts all the same features as Outdoor Research's technical down jackets, like the 800-fill down insulation, except stylish stitching and an anorak style provide a casual style. 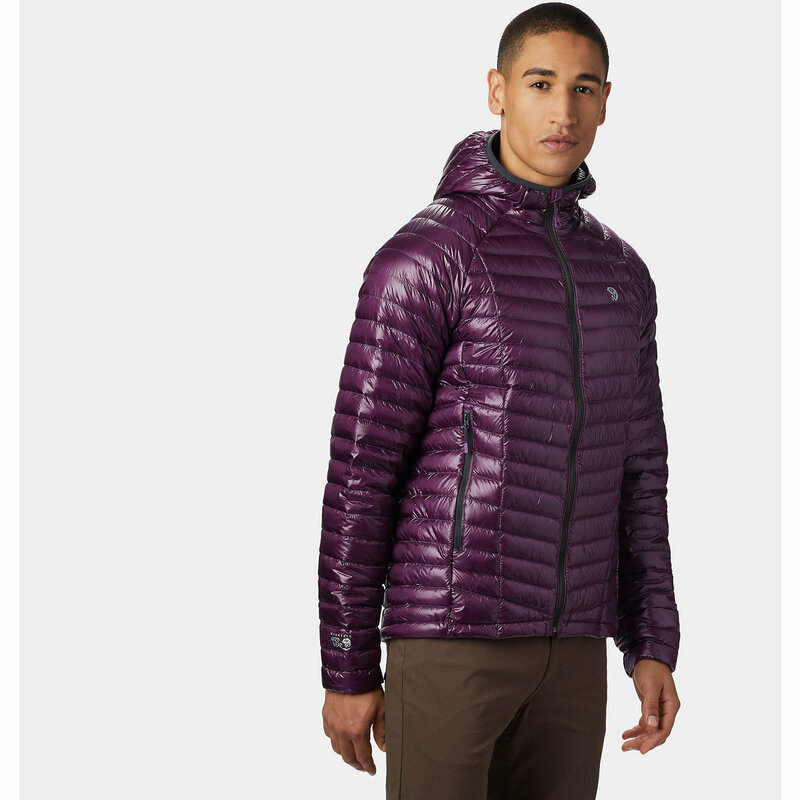 Its 800-fill down insulation is surprisingly warm for how little it weighs, and it's so compressible that the jacket packs into its own pocket. 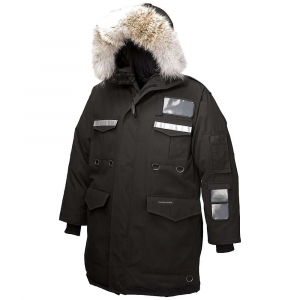 The light, durble ripstop shell is water- and wind-resistant to shed snowflakes and brisk breezes.